Blood alcohol concentration (BAC) is the measure used in all 50 states to determine if a person is legally intoxicated. If they meet or exceed that BAC limit, they face serious consequences for drunk driving, at least in most cases. The legal limit in almost all states is .08 percent BAC, except for one state. Utah recently voted to lower its BAC limit for drunk driving to the “buzzed” measurement, hoping to eradicate even more drunk drivers off the road. Florida DUI law may not be far behind in dropping the BAC for a criminal charge. Buzzed driving is drunk driving, as the saying goes. Many states actually have criminal charges for BAC limits below the typical .08 threshold. 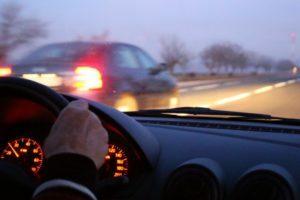 Those charges tend to carry a little less weight (and therefore, fewer consequences), but they can all add up to a total number of impaired driving incidents. With enough of those, a person can and will face much more strict penalties, including jail time or extended ignition interlock requirements. If Florida DUI law follows Utah’s lead, then more people will face drunk driving charges. That could mean that there are fewer Florida DUI incidents overall, especially since the state requires interlocks for many first-time offenses and for all second or subsequent offenses. If the Florida DUI laws also increased the interlock requirements for all offenders, without a doubt, there would be fewer drunk drivers on the road entirely. We’ll wait and see what happens, hoping for the best. By lowering the BAC, Florida DUI law gets stronger, and more people will hopefully make better choices. Considering the danger of a buzzed driver is not much less than that of drunk driver at the current legal BAC limit, it makes sense to evaluate where the laws can best serve the people, and ensure that there are better preventative solutions in the future. Nobody really wants an ignition interlock device, just as nobody really ever wants to drink and drive. 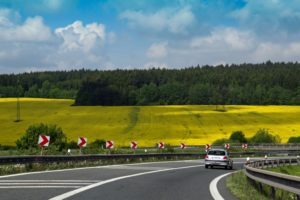 In Virginia, you are essentially choosing to install an ignition interlock on all of your vehicles the moment you drive under the influence of alcohol. Virginia is an all-offender ignition interlock Commonwealth, so any DUI, whether “simple” (without aggravating circumstances), underage DUI, or an impaired CDL problem will result in an interlock requirement. Keeps you employed. Without it, your transportation options become much more limited. Actually saves money. Since you are not drinking as you did before, you are able to keep a bigger balance in your bank account. Is your second chance after a DUI. Before Virginia’s ignition interlock program, offenders had to face a lengthy license suspension and a world of frustration. Today, that has changed. Keeps others safe on the roads. The device prevents you from drinking and driving. You are not a danger to yourself or someone else. Virginia DUI offenders are required to enroll in VASAP, a program that manages the interlock requirement as well as providing support and resources to ensure drunk driving never happens again. 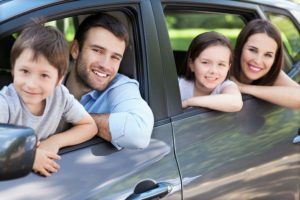 After a Virginia, your ignition interlock helps you create a better life for yourself and your family or loved ones. Virginia DUI law makes sure that you can keep your job while everyone else remains safe around you. Driving sober is a choice, just like driving drunk, and with your ignition interlock, that choice gets a lot clearer, no matter how much you’ve had to drink. The state of Iowa is very strict when it comes to OWI offenses. They want to discourage drivers from making any choices that will lead them to get behind the wheel. If you are planning to have a night out of fun, make sure you have a plan for ending the night with a safe ride home. Iowa OWI laws are changing, including new ignition interlock regulations. Iowa OWI charges are serious and have serious consequences. You can be charged with an OWI if your BAC (blood alcohol concentration) is .08% or higher but that is not the only way. In Iowa, if you exhibit signs of driving while intoxicated, such as swerving, excessive speed, or wide turns, or you fail a roadside sobriety test you can be charged with an OWI even if your BAC is not .08%. They also have a higher level of punishment for those who have a BAC of .10% or above, including an ignition interlock device requirement. If you’re under 21, not only should you not be drinking period, but if you drive while drinking and get pulled over, you will be charged with an Iowa OWI if your BAC is .02% or higher. They will not go easy on you for being underage, in fact, your punishments may be harsher. CDL drivers should also be aware of the higher standards that they are held to. If your BAC is .04% or higher, you will be charged. Not only that, but you could not only lose your license but your career could be over. If you are charged with an Iowa OWI, the first thing you should look into is an attorney. The legal process is often confusing and trying to navigate it alone is never a good idea. A qualified professional will be sure you are adequately represented and will look out for your rights. They also will know the best defenses and ways to mitigate your penalties to have the least impact on your life.